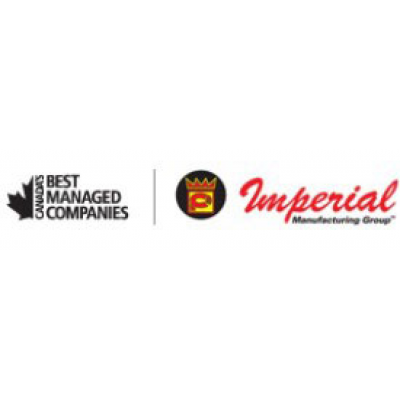 Imperial Manufacturing Group is looking for self-motivated Production Workers to join our team. Our ideal candidates understand the importance of safety, attention to detail and enjoy working in a fast paced team environment. IMG, proud to be an equal opportunity employer. Imperial Manufacturing Group is a leading manufacturer and supplier of heating, ventilation and structural building products for residential and commercial applications. Recognized as one of "Canada's Best Managed Companies - Platinum Club", our employees are valued and recognized as the key to our success; their growth is continually challenged and supported within our dynamic and diversified organization. IMG believes that our entrepreneurial culture creates an environment that encourages and enables our employees to be at their best every day. Encouraging them to think on their feet, to take an idea from start to finish, to take ownership of their job, and to ultimately stay ahead of the competition.